Our engineers and technicians are standing by to advise and innovate in cooperation with your team. Together, we develop and implement well-thought-out projects, tailored to your needs. It doesn’t matter whether it’s day-to-day technical support or major, complex projects. 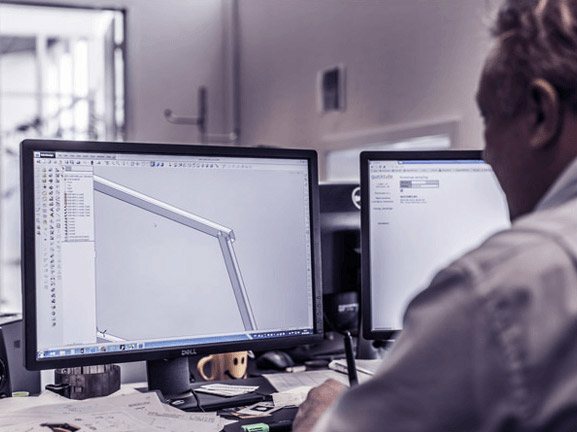 We incorporate 3D engineering, cost-reduction, manufacturing maturation and tool optimization into how we envisage the project – and the sooner we get involved in a project, the better able we are to steer the task through to a satisfactory conclusion. NMF Industries makes a positive contribution to your project, no matter whether you bring us in right from the concept stage or if you involve us in projects requiring further work. 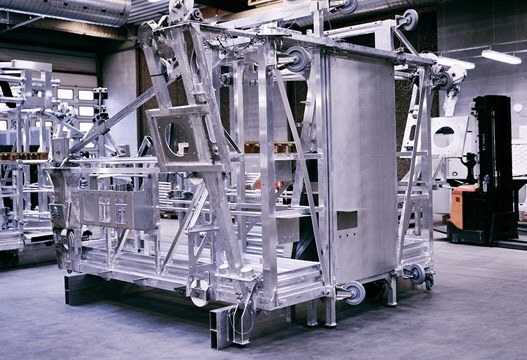 With us, you will find a highly proficient team who brings a great deal of knowledge to your project in the fields of sheet processing of aluminium and steel, design, choice of materials, production processes and assemblage. Combined with efficient, precision production, this makes us a professional, stable external supplier who infuses your project with maximum value. We receive your enquiry for a future project and a project manager is permanently attached to the project. We work with the customer to identify and develop concepts for the opportunities and challenges of the project. As part of this, we may become involved in the development and design of individual products. The structural engineering and final design aspects are established in cooperation with the customer. We establish production methods and logistics and, if relevant, enter into agreements with business partners (external suppliers), and begin preparing the production process. Documentation requirements are established. Production, including assemblage, is carefully watched by our skilled project managers, including liaising with business partners (external suppliers), if any. Your finished project is delivered on time and at the agreed quality. If relevant, stocking of the product is agreed so that the products are delivered in accordance with a specified delivery plan.